Optimum Nutrition (ON) Gold Standard 100% Whey Microfractions from Whey Protein Isolates & Ultra-Filtered Whey Protein Concentrate over 4 grams of Glutamine & Glutamic Acid in each serving. More than 5 grams of the naturally occurring Branched Chain Amino Acids (BCAAs) Leucine, Isoleucine, and Valine in each serving. Contains a blend of Whey Protein Isolate and Whey Protein Concentrate as main ingredients. Provide protein into every serving to support the muscle building needs after training. 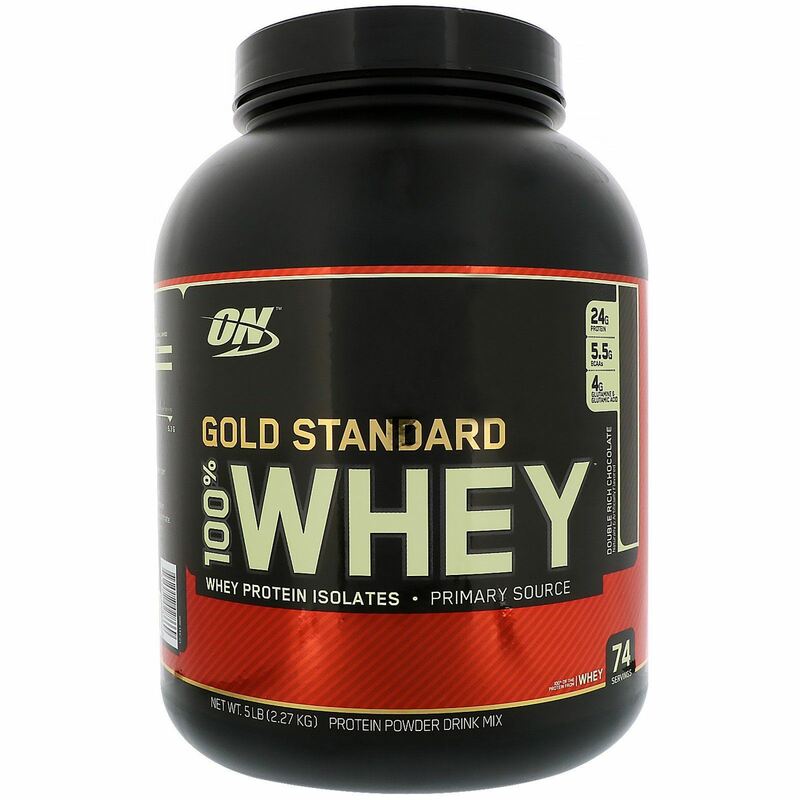 - Add one scoop of Gold Standard 100% Whey in a blender filled with 6-8 oz of water or favourite beverage. - Blend for 20-80 seconds. Then add 1 or 2 ice cubes and blend for an additional 30 seconds. - Frozen fruits, peanut butter, flaxseed oil, coconut, and other ingredients can also be added to make it more delicious. - This product is not intended to diagnose, treat, prevent or cure any disease.